June 15, 2012, 1:59 PM · We have a winner in the encore composition contest! Jeff Myers: "The Angry Birds of Kauai"
Since its inception, In 27 Pieces: the Hilary Hahn Encores has aimed not only to expand the violin repertoire, but to engage new fans and break down barriers between artists and audiences. 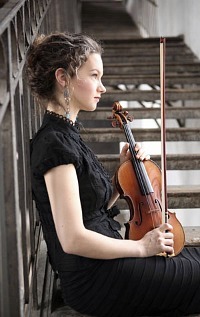 In addition to commissioning 26 composers to write short-form pieces for acoustic violin and piano, Hilary Hahn put out an open call for submissions on her website. Over 400 composers of diverse ages and nationalities submitted works. Each entry was made completely anonymously. As Hahn says, "Reviewing the pieces, I was glad that everything about the scores and audio files was anonymous. All I had to go on was the music itself: no identifying titles, handwriting, or names. I was eager to open the files as they arrived. It was interesting to see how different composers interpreted the encore as a musical form." For every encore that was received, $2 has been donated to the music programs of Dramatic Need. Today, Hahn is delighted to announce the winner: Jeff Myers. Due to an overwhelming number of wonderful encores, Hahn has also selected the works of Philip Brownlee, Nikolet Burzynska, Tristan D'Agosta, Mark Gresham, George Kontogiorgos, Marius Felix Lange, Garth Neustadter, Aaron Severini, Rani Sharone, and Octavio Vazquez as Honorable Mentions. 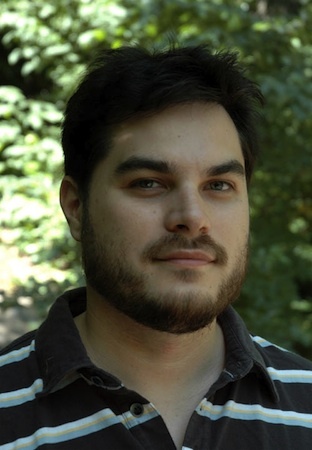 Jeff Myers's work, "The Angry Birds of Kauai," will be performed on Hahn's 2012-13 recital program with 13 other previously commissioned works for the project and will be recorded for release during the 2013-14 concert season. The loudness and power of the native birds in Kauai, near his home in Honolulu, inspired Myers's encore. Of the new piece, Hahn writes, "It is smartly and efficiently structured, with soul and humor in the notes. The instruments are equals, and the violin's capabilities are exercised. There is tons to experiment with interpretively: the way the piano and violin trade ideas is something I had been curious to try in upcoming repertoire. I had been looking for a work like this outside of the contest without fully realizing it, and suddenly it dawned on me that that piece was right in front of me. It fits my technique really well. But not just mine: each musician who takes it on in the future will be able to put his or her stamp on it. And this encore was satisfying to work through in my head. It showed its character to me before I played even a phrase." The music of Jeff Myers draws on preexisting musical works, styles and genres, as well as visual art and natural phenomena. Filipino kulintang music, works by M.C. Escher, overtone music, folk music, and animals have been a source for inspiration. Currently, Myers is working on an opera about 17th Century Norwegian witch trials (Maren of Vardø) with librettist Royce Vavrek for Center City Opera in Philadelphia, PA. Myers is also composing a one-act opera version of Edgar Allan Poe's "Premature Burial" (Buried Alive) with playwright Quincy Long for American Lyric Theater's "Poe" trilogy. Myers's music has been played by ensembles such as L’Orchestre National de Lorraine, American Composers Orchestra, New York Youth Symphony, New World Symphony, Aspen Contemporary Ensemble, PRISM Saxophone Quartet, JACK Quartet and by violinist Yuki Numata. He has received awards from The American Academy of Arts and Letters, BMI, as well as fellowships from the Aspen Festival, Tanglewood, Festival Acanthes, and commissioning grants from institutions such as the Jerome Foundation, The Fromm Foundation and NYSCA. His music has been heard at Carnegie Hall, The Library of Congress, The Kimmel Center, Darmstadt, Gaudeamus, Symphony Space, and (le) poisson rouge. Myers holds degrees from San José State University, the Eastman School of Music and the University of Michigan. His website is www.jeffmyers.info. June 16, 2012 at 01:26 PM · This contest and her decision to perform all honorable mentions is propably the best thing that has happened to the classical violinworld in a while. I really look forward to listen to these pieces. I wonder if any famous composers participated? All the names listed are new to me.